Knowing where to search and how to use the many search tools are very important steps in the research process. VCU Libraries can even help you use Google for your research in a more precise way. The links below will help walk you through just some of the many ways to look for sources for your paper or project. Local news research is a very specific type of research, this guide will show you the best resources. It's important to know what to do when VCU Libraries does not currently have what you need. The link below will help you find items from other libraries. It also includes information on how you may be able to check-out items at a local library. 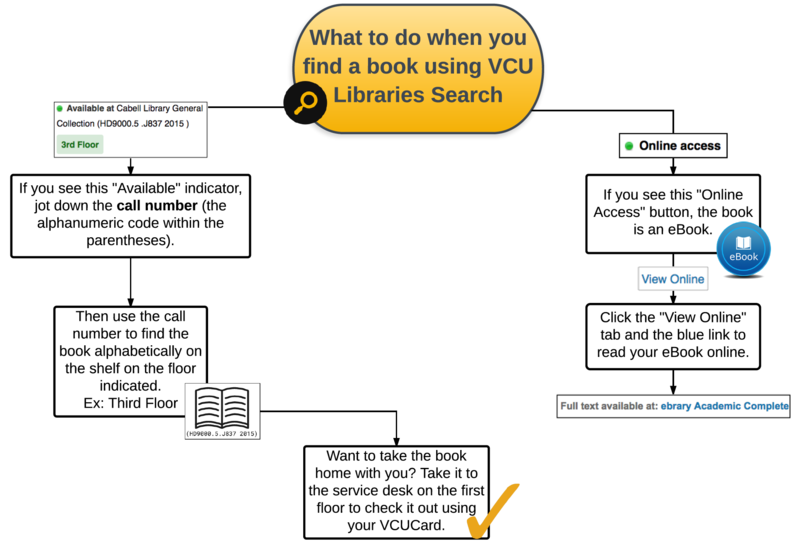 This interactive tutorial will walk you through searching and refining your search results using the VCU Libraries Search tool.